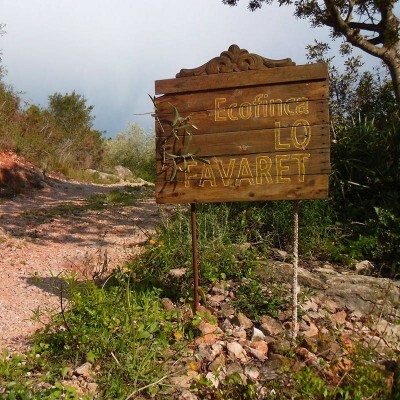 Ecofinca Lo Favaret covers an area of 1.3 Hectares, to the south of the Serra del Boix, enjoying a warm and dry micro-climate, ideal for the cultivation of the centenarian olive trees. We converted the finca to an ecological cultivation method, producing organic extra-virgin olive oil. In the Eco homes “La Faeneta” and “Escape” we live respecting the natural resources. We produce our own solar energy -photovoltaic and thermal- Promote responsible water consumption because the supply of it comes from rain collected and stored in subterranean cisterns. And why not sea and mountain? That's how we like it! Come and share this experience in the heart of the mountain and a stone’s throw from the sea in either of our 2 accommodations, La Faeneta and Escape. 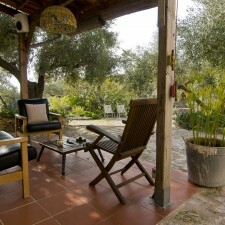 Restored old farmhouse surrounded by olive trees. Its strong point is the tranquility and privacy. Guests: 2 / 4 people. 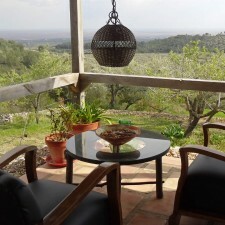 House on top of a hill with stunning views of the Ebro Delta from the terrace.